UPDATE: Authorities now say a contractor struck an underground electrical line. Approximately 12 business are without power. An underground fire is burning where the power line was struck. Evacuations are under way. Motorists should avoid the area. This will be an extended operation. 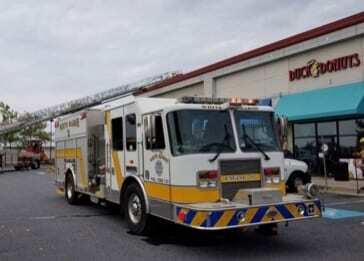 Crews are responding to a report of a fire at a White Marsh business. At about 2 p.m. on Tuesday, units from White Marsh Volunteer Fire Company responded to the FedEx store in the 5200-block of Campbell Boulevard (21236) after fire was reported at the location.